When I decided to write this article I knew I had to consult my sister-in-law, who is the family expert on finding great deals on used popup campers. She found a spacious used popup camper with a slide-out for her family five years ago. That same year she found a like new popup camper that my husband and I purchased and still use. And, just a little over a month ago she found another awesome deal on a popup camper for another of our family members. Shop around, looking at both new and used popup campers to get an idea of what features you would like. If you end up finding exactly what you want, you can enjoy your popup for years without having to think about replacing it or upgrading it. But, you can still dream so you know what you would want it to have when it is time to upgrade! (My sister-in-law lives this philosophy. Although she and her husband love their popup and don't plan on getting rid of it anytime soon, they go to at least one camper show a year pre-shopping for the next camper they plan on buying). - Do you go to campgrounds where a shower/toilet in the popup would be needed? - Do you want to deal with the hassles of maintaining a shower/toilet in the popup? - Or, would you rather have extra counter space there instead? You might be surprised what you can find within your budget. It's not unusual for someone to find a well taken care of used popup camper being sold by a private party for less than $3,000. To get an idea of what you should be paying for a used popup camper, check out nadaguides.com. They offer used price guides on camping trailers, one of the several interchangeable names popup campers are known by. Other common terms used for popup campers are: tent campers, fold down campers, folding campers, fold down trailers, soft sided campers, and folding trailers, pup campers. Usually people want a newer year camper that was well taken care of. Well, we have found three 1999's that were well kept and worth the money. We hoped to buy a 2000+, but because ours was set up as we had hoped for, we are still happy and enjoying it after five years. We found some great options from loos.co.uk out of service models. If you know this comapny you'll know they take good care of their stock. The trick is knowing your own wants and needs in the trailer. Once you know what you want, the minute you step in a camper to check it out you will know if it's what you want or not. Have you researched which brand of camper has good ratings? While I don't know of any industry wide popup camper rating guides that will ensure you are buying a high quality popup camper, there are some online resources to check out. RV-Coach.com has been conducting a survey online and inviting all types of RV and camper owners to rate their camper. While the list includes all types of campers and isn't an all-inclusive list, it does include reader supplied data for some popup campers. For example, the Camplite by Damon is on the list. 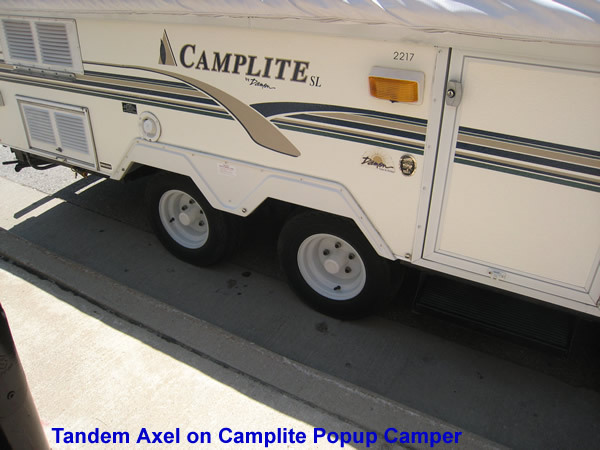 The Camplite is no longer manufactured, but two of our family members purchased used Camplite popup campers and really like them. Our other family member purchased a Coleman popup camper (also no longer manufactured under the Coleman name since Fleetwood bought out the Coleman popup camper division several years ago) and they are very happy with the quality and durability of theirs as well. RVReviews.com also has reader supplied reviews of popup campers (referred to as 'fold down tent campers' on the site). You may also want to think about what camping dealerships are close to your home for convenience when you need parts or repairs for the popup camper you purchase. For example, if you purchase a Jayco popup camper you probably don't want to have to drive 100 miles to the nearest dealer for parts and repairs. Do you want front storage? Some popup campers have exterior front storage areas, which are great for storing things like firewood, tools, rope, portable grills, and any other "extras" that are needed for a camping trip but that you wouldn't want to store inside the camper itself. My brother and sister-in-law have a front storage area on their camper. We don't. While we would like one, we do okay using the back of our towing vehicle for bringing those "extras" with us. Do you want a single or tandem axel? 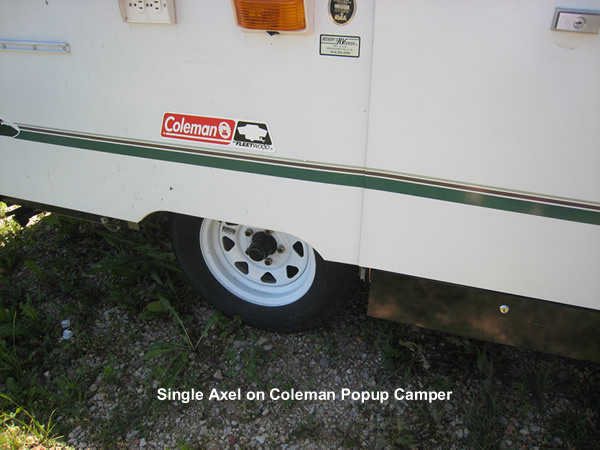 A single axel is fine for shorter and lighter campers; a tandem axel is better for heavier and longer trailers because the extra weight is more evenly distributed and there will be less tongue weight with a tandem. Less tongue weight is good because it puts less stress on the shocks on your towing vehicle. Maneuverability is also better with a tandem axel. I wouldn't let this item be a deal breaker though. If the manufacturer has a single axel on the camper, that axel is sturdy enough to support the loaded weight of the camper. Also, a tandem axel can be installed on the camper after you purchase it if you decide you really want one. What vehicle do you have to pull the popup camper? One of the nice things about popup campers is that they are fairly lightweight, making them suitable for pulling by most vans, SUV's, and small trucks. However, the larger the popup and more amenities it has (a slide-out adds a considerable amount of weight to the camper), the heavier it is. Always check the towing capacity of your vehicle (look in your owner's manual) before purchasing a camper and find out how heavy the camper is (look in the camper's owner's manual. If there isn't a manual, call a local dealer for that brand of camper or look it up online on the company's website). You don't want to purchase a popup camper that is too heavy for your vehicle to tow and then have to purchase a different vehicle to tow it. And keep in mind that the towing capacity listed for your vehicle includes everything you are hauling - not just the camper. Everything you load into your vehicle, including yourself and any passengers needs to be added into the total weight. This doesn't mean you have to weigh everything to be sure - you can estimate. Anyway, you never want to be that close to the maximum towing capacity of your vehicle. That's bad for your vehicle's transmission and could result in you having to repair or replace it prematurely. Would you need electric brakes to pull it? Because of the extra weight that's pushing against the tow vehicle when you are trying to stop, electric brakes are a good idea. It provides extra stopping power which keeps everyone safer. The popup camper you are looking at may or may not already have electric brakes. If they are, you need to know whether or not your towing vehicle has an electric brake hookup. If it doesn't, it can be added by your vehicle's dealership. When we had the electric brake hookup added to our Ford Explorer two years ago, it cost us $300 to have it done; but If you're handy with that type of thing you can do it yourself. Is the stove portable...able to hook up inside and outside? We prefer to cook outside and leave any spatters and grease outdoors rather than all over the interior of our camper. I personally think an outdoor stove is indispensable. We use our all the time. 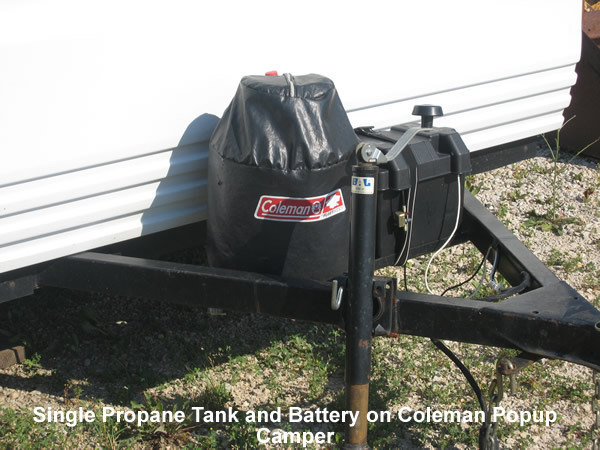 Our Coleman has two stoves; an indoor one and an outdoor propane one that hooks up to the side of the camper. My brother and sister-in-law's has a stove that can be used indoors or outdoors and theirs spends most of its time being used outside. Some don't have an outside stove. If it doesn't, a portable grill will work for most things too. Is the refrigerator a two way, three way, or just an ice box? A two way refrigerator is gas and AC electric; a three way is gas, AC electric and DC electric. An icebox is basically a cooler inside the camper. To keep things cold you need to keep ice in it just like any other cooler you have. If possible, try to get a popup camper with a two way or three way refrigerator. Keeping an icebox filled with ice (and drained when it melts) is a pain. Plus it tends to freeze and ruin delicate items like fresh vegetables. The advantage of having a three way refrigerator versus having a two way is that it can be run off of a battery in addition to running off your propane tank or an electric outlet. Does it have a water heater? If you don't have a shower in your popup camper, you don't necessarily need to have a water heater. It's nice to have hot water inside the camper for doing dishes, but you are camping and it's not that hard to heat up some water on the stove and wash the dishes outside. How many gallons of water does the water tank hold? This may or may not be an important consideration for you. My husband and I don't use the water tank on our popup camper because it's hard to drain and sanitize the tank and water lines. Since we don't have a water heater or bathroom facilities in our popup camper, we get our cold water out of a drinking cooler we keep outside the camper when we go camping. For washing dishes, we take 5 gallon jugs of water from home or we just fill up a pot with water at the campground when we need it. No popup camper is going to have a huge freshwater tank. For example, the 2007 Jayco Select popup camper has a 23 gallon fresh water tank. The 2007 Fleetwood Westlake has a 26 gallon water capacity. How many people does it sleep (bed sizes)? Popup campers provide sleeping accommodations for a surprisingly large number of people, but the sleeping quarters can get pretty cozy and tight if you sleep the maximum number it holds - especially if it's all adults. For example, our 10 foot Coleman camper officially sleeps 7 people, but that means there's two people in each of the beds on the end, two on the convertible dining room table, and one of the couch adjacent to the larger bed. If we had 7 adults in the camper they would have to all be very good friends because the sleeping quarters would be quite cozy! The most we ever slept in ours was 5 (4 adults and 1 child) which worked out well and was comfortable for everyone. How many feet long is it? In my opinion, the length really only matters for three reasons: the longer it is the more roomy it is inside; the longer it is the heavier it is to tow; and the longer it is the more difficult it may be to maneuver into small campsites. But, with the boxes on popup campers ranging from 8 feet to 14 feet, none of them are going to be huge when they are closed up/folded down. If it does, do you really need it? An air conditioner might be an important feature if someone in your family has allergies and needs some relief from the allergens in the air while camping. If you do purchase a popup with an air conditioner keep in mind that some campgrounds will automatically charge you a premium fee for electricity just because you have an air conditioner. It won't matter if you plan on using it or not. Just having it on your camper and having the ability to use it results in the extra dollars being tacked on to your camping fee. We have an air conditioner on our popup camper and I love having it. But we don't use it that often because we tend to camp at campgrounds with trees and shade which keeps the interior of the camper comfortable most of the time. Some people are reluctant to look at used campers because they automatically assume they have been used a lot and have a lot of wear and tear on them. But, there are a lot of people who decide they want to go camping, buy a camper, go a few times, and then decide they don't like camping and sell it. When my husband and I purchased our popup camper, it was three years old but had only been used 5 times. It was like new both inside and out. Was it well taken care of? (condition of tires, canvas, cushions...)? Check the condition of the tires, the canvas, the cushions, the curtains, whether or not the drains work, the water heater works, etc. If the camper looks shabby at first glance and it's not that old, you may want to look elsewhere because it's usually a sign that the camper wasn't well cared for and may need too many repairs down the road. When looking at a popup camper always ask to have it raised and lowered so you can see for yourself the condition of it and that everything works. Don't be afraid to ask to see if the faucet works, the drawers open and close, that the refrigerator cools, the air conditioner and heater are functioning, etc. Make sure there are no tears or holes in the canvas. If there's a slide-out make sure it's in good working condition and that the sliding mechanism has been take care of and lubricated. Check to make sure the awning isn't ripped or torn. Awnings are probably the single most replaced item on a popup camper because strong winds can wreck them. Last year when we were camping, a strong storm came up suddenly and we didn't have enough time to roll our awning up and put it away before the wind grabbed it, whipped it up over the top of our popup and wrecked it. Replacing it cost us $350. When you're buying a used camper, especially from a private party, it's definitely a "buyer beware" situation. You need to look out for yourself. While most people are honest and won't try to cheat you, there's always a few dishonest people out there that make it important for you to careful. Is there a slide out? Although a slideout only slides out 1-2 feet, it makes a surprising amount of difference in how roomy the interior feels. If a popup camper with a slide-out is within your budget range and is within the towing capacity of your towing vehicle, try to find a popup with one. Is there an add a room? 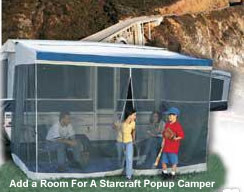 An add on room is a plastic and screen room that attaches to the side of the camper where the door and awning are. Some people really like them because they add extra living space to the camper. My husband and I don't think they are worth the bother of putting them up. They are time consuming to put up and don't have a floor which makes it really hard to completely enclose it and keep all the bugs out. We own one but only used it twice. It now lives in our garage collecting dust. If you want to have extra "non-bug" living space in your campsite, purchase a free standing screen room with a floor instead. I don't know of any popup campers that don't have an awning on them when they are manufactured. But, when you are buying a used one, you may find the awning and its case have been taken off because it was no longer functional. 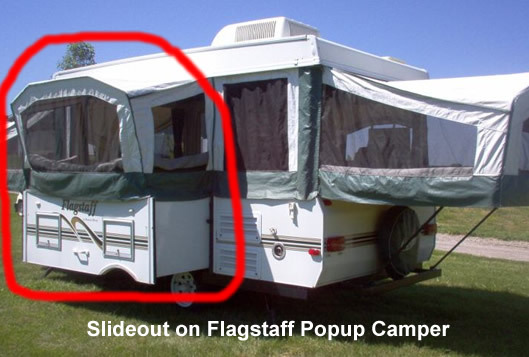 It will cost several hundred dollars to have a new awning put on the popup camper so keep that in mind if there is no awning on the popup camper or it the one that's on it is wrecked. I think an awning is a necessity. If it's a hot sunny day and there's no shade in your campsite, an awning is indispensable. It's also a good place to sit when it's raining. Does it have one propane tank or two? Without an electric hookup, the following items rely on the propane tank to function: refrigerator, stove, water heater, and furnace. With an electric hookup, the stove, water heater, and furnace need propane to work. 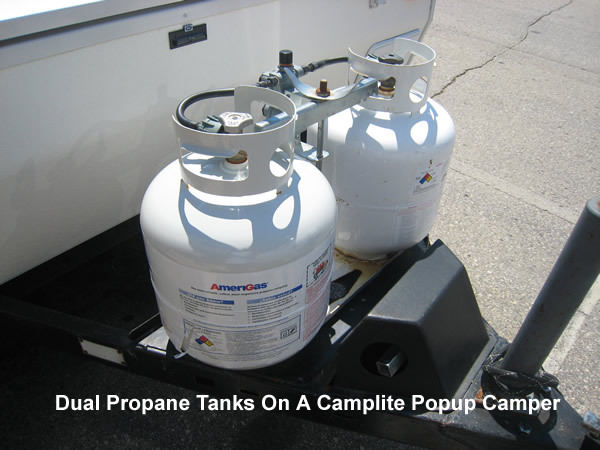 If you plan on camping at campgrounds without electric hookups most of the time, try to get a camper with two propane tanks. But, don't let it be a deal breaker if you can't find one with two propane tanks on it. Our camper only has one. We put an extra propane tank in our tow vehicle when we're camping without electricity (if you do this be sure to secure the tank in the vehicle so it doesn't roll around) and swap it out when necessary. A battery is handy to have because it runs the lights when you don't have an electrical hookup at your campsite. It can also run your refrigerator if necessary. Unless you are camping in the middle of summer, it can get cool at night - especially in the folded out beds at either end of the camper. I think a heater is another necessary item to have, but I have friends who have a popup without a heater and they camp well into the cooler fall months each year. They just make sure to take lots of blankets or sleeping bags along with them to stay warm at night. Is there a bike rack? Would you add one later? Where on the camper would it go...hitch, top,...? If you go biking when you go camping, you are going to want a bike rack. Don't "cheap out" when purchasing one. 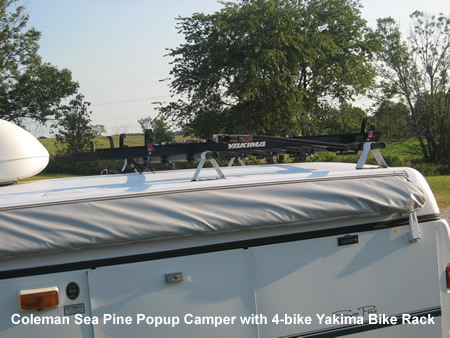 When we purchased our Coleman camper, it had a 4 bike Yakima bike rack on it. The original owners of the camper had it installed. When they had it put on the camper (7 years ago) it cost them $800. My brother and sister in law purchased a bike rack that hooks on to the back of their tow vehicle but looked for a good deal when they purchased theirs and only spent about $300 on it. They are now regretting that purchase because after only 2 years the rack is bending and becoming unsafe to use. We take our bikes on all our camping trips and have never had a problem with them coming loose once we have them hooked onto the rack. This is one of those instances where you get what you pay for. Where do you look to find a used popup camper? The ones you see with 'for sale' signs on them when you're driving down the road. The biggest thing to remember is that when you find the popup camper of your dreams at a great price, don't hesitate to purchase it because it's likely to be snapped up by another buyer very quickly. Purchasing a popup camper, especially a used one, is a very affordable way to enter the world of towable camper ownership. A popup camper is more comfortable and gives you more protection from the elements than sleeping in a tent does. And, they are much most affordable type of camper.